Hello Hello Hello!!!! 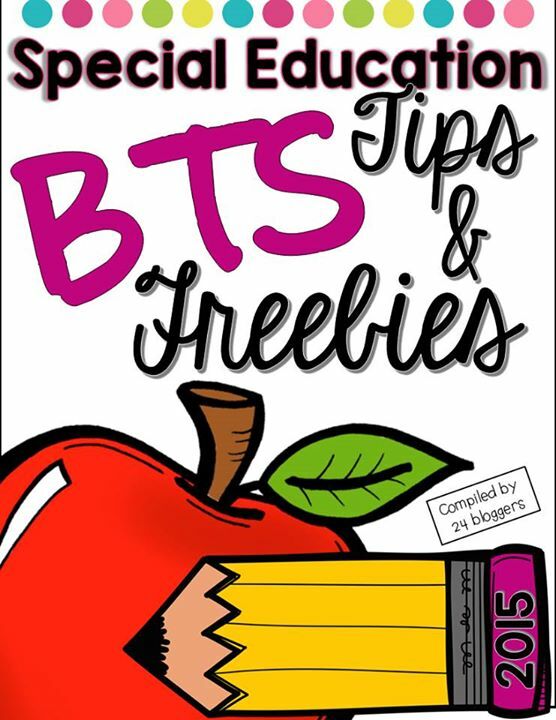 I am SOOOOOO excited to be part of this Special Ed Back To School Blog Hop. I met so many of these wonderful ladies in Vegas (my vegas post is coming this week) and they are really as awesome and sweet in person as they are on social media! This Blog hop is awesome because it is not just great blog posts but an Entire E-BOOK full of tips, tricks, and FREE (yes you read correctly) FREE resources! I am seriously so excited to read this book and check out some awesome resources! I shared some more tips on Paraprofessionals in the classroom! It is such a fun new idea and we should all be grateful for Traci from The Bender Bunch for her hard work organizing this! 2. They can drive a theme which can incorporate math, reading, and writing. I try to get the social studies and science themes to match up with holidays and events in the school so our activities are as real world as possible to my kids! As the year goes on I have monthly bins that I add materials to so they are protected and organized for next year! Lastly, I created an extended standards report card for my kids (its unofficial so I still have to send home a common core report card) at the end of each trimester. This really helps the parents know exactly what their child is doing in the classroom and their progress outside of their IEP goals. Once my 2015-16 curriculum is completed I will make sure to share with you all. If you want my extended standards report cards you can get them here and here before I update them in the next couple weeks! I will be making many products based on science and social studies standards so tell me in the comments or in the raffle comments below what YOU would like to see me make to help you with science and social studies in your special education classroom! Finally, with this Wonderful e-book we will also be featuring a giveaway on each blog! My give away will be $10.00 to spend in my TPT store! Just enter in the raffle below and a winner will be picked next week! Have a great week and I hope you all enjoy the E-Book. Make sure to come back to my blog later this week! I will be blogging about my amazing week in Vegas for the TPT Conference! Thanks for the blog-hop and giveaway! I just came across your blog due to the blog hop! I'm excited to read more about what you do with your kiddos!! NEW SITE FOR ME !!! Thanks for sharing! I would love to see some materials (adapted book or unit) on solids and liquids. Something simple! Science and Social Studies is tough! I am writing our K-2 Science and Social Studies curriculum this summer! Adapted and Differentiated materials for Economics - reading graphs, tally charts, etc., Force and Motion, Famous People/History are all topics I am struggling with right now! :) Thanks! This is so great! Especially being a first year teacher! Thanks so much! U.S. History covers a great deal of my standards. I teach in a self-contained classroom for grades 3-5. Thanks for the great resources! I would like to do science as a group but my students have many different needs so creating a resource that is adapted to meet many different levels would be nice! Thank you! Thanks for participating in this giveaway!! Hello! I am really enjoying this blog hop! I am finding so many new SpEd friends :) Cant wait to hear more about your teaching journey on your blog! Thanks for the wonderful blog hop. You all have some useful ideas and products! Thank you so much for the blog hop! 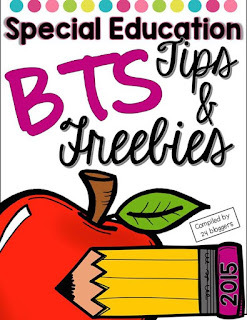 I am a new blogger, and 10 year sped teacher and so happy to get to know the best sped blogs! Thank you! I am a fellow Ohio SPED teacher! When my team mapped the standards we also started with Science and SS. I think this is a great method. It also helped us align with our Unique Learning System supplemental curriculum. Thanks for the giveaway! I am excited to learn some new things! I am a new follower on bloglovin! I'm a retired special education teacher, and I run my own tutoring business now. I love the Superheroes, and think this book is amazing. Thanks for the Giveaway. I'm loving this blog hop! Thanks. Thanks for the blog hop help!